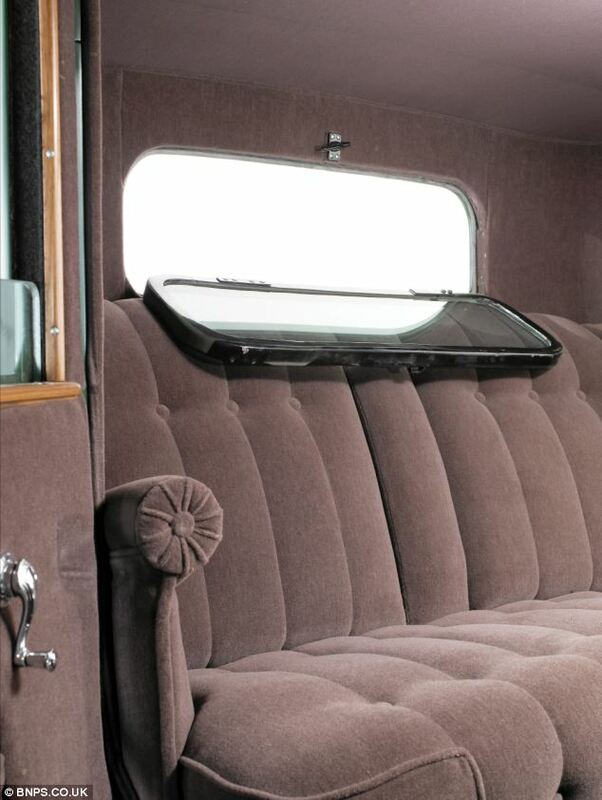 A Cadillac made especially for 1920’s mobster Al Capone is going on sale for £325,000. Designed to protect the notorious Chicago gangster the car is fitted with 3,000lbs of steel armour, bulletproof windows and painted to look like a police car. 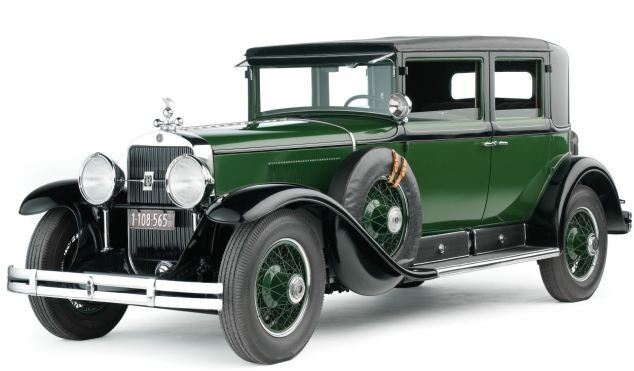 The armour was fitted so rivals would not be able to shoot him as they drove by and the colour scheme of the 1928 Cadillac V-8 "Al Capone" Town Sedan - green with black fenders – mimics the Cadillacs driven by Chicago police and city officials at the time. It even had a flashing light, siren and the first police-band radio receiver in private hands. To further protect its precious load the bulletproof glass windows could be wound further than normal to reveal circular holes through which machine guns could be fired. And in case this was not enough to deter any drivers taking up the chase, the rear window of the ride was rigged to drop at an instant so Capone’s henchmen could open fire at any following cars. 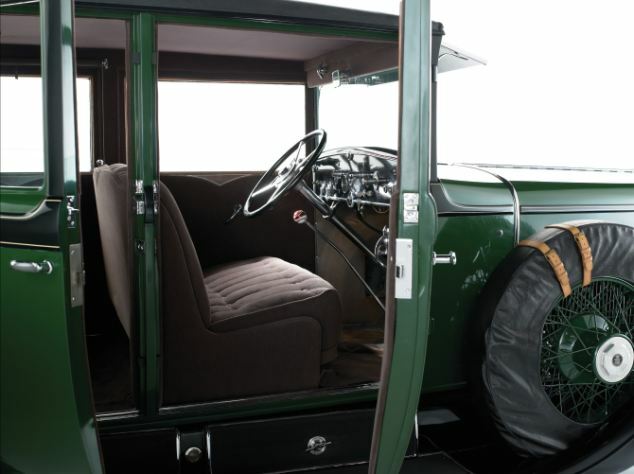 The car, which is thought to have been briefly used by President Franklin Roosevelt after Capone was imprisoned for tax evasion, is expected to fetch a six figure sum at auction. Considering his crime – the one he was imprisoned for – Capone would probably have been pleased to know that his old car, being 84-years-old, is classed as a classic and is therefore tax exempt. After Capone’s imprisonment the vehicle went on to be shown around the world, even making a trip to the UK in the 1950’s displayed at the Southend-on-Sea amusement park and at the Blackpool funfair. It later entered the collection of the US motor enthusiast John O'Quinn who died last year in a car crash and it is now being sold as part of his estate. In their research into the origins of the car, auctioneers uncovered 92-year-old Richard Capstran, whose mechanic father fitted the armour. He said Capone's mobsters arrived and told him what they wanted doing. The car was then backed into the garage so no one could see what was happening to it. Mr Capstran said Capone turned up to pay the bill himself and even gave the ten-year-old Mr Capstran a ten dollar note - a small fortune to a young boy at the time. 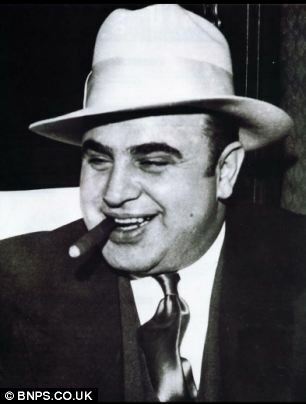 Alphonse 'Al' Capone was born to Italian immigrants in Brooklyn, New York in 1899. After being kicked out of school aged 14 he became involved in local teenage gangs and but moved to Chicago in his early twenties to take advantage of the thriving market for illegal alcohol during the first years of Prohibition. There he ran prostitution rings, illegal gambling halls but made most of his money running speakeasy bars where thirsty Chicago dwellers could get their hands on banned alcohol. He rose to become the leader of 'The Chicago Outfit' gang, which later became known as 'The Capone Family' and ruled the streets of Chicago from the early 1920's until his capture in 1931. Capone has been credited with ordering one of the most famous mass murders in 20th century America - the Valentine's Day Massacre - where members of his gang gunned down seven of the rival Moran gang whilst dressed in police uniforms. The law finally caught up with the mob leader in 1931 when he was sentenced to 11 years in prison for tax evasion. He spent a majority of his sentence in the famous Alcatraz prison where he was famous for manipulating prison guards. His health deteriorated in prison and he was no longer capable to run 'The Chicago Outfit' upon his release. Suffering from neurosyphilis his mental health broke down and when examined a few years after his release he was said to have the mental capacity of a 12-year-old. 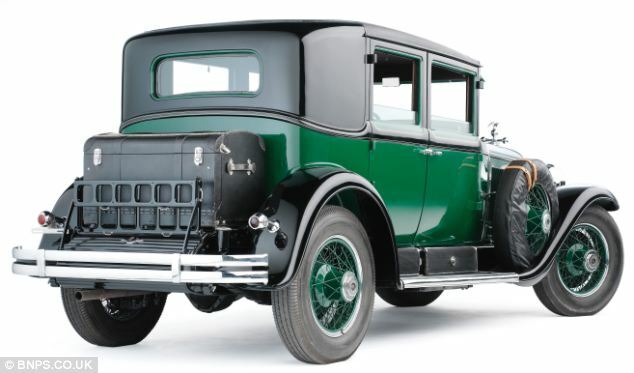 A spokesman for RM Auctions which is selling the Cadillac, said: ‘This is widely considered as one of the most historically significant pre-war American cars. ‘It is liveried in green with black fenders to mirror the Cadillacs supplied to the Chicago police and city officials at the time. ‘It is one of the earliest surviving "bulletproof" cars and was fitted new with heavy glass measuring nearly an inch thick and completely lined with 3,000lbs of steel armour plating. The auction takes place in Monterey, California, on August 20.